In what has been an already drawn out case filled with legal wrangles in and out of court, the Senate President, Bukola Saraki finally made an appearance at the Code of Conduct Tribunal today. This comes after he failed to obtain a restraining order from the Court of Appeal to put the trial and hold. He is facing 13 count charges ranging from false declaration of assets to operating a foreign account. There was to be further drama this morning over whether or not the Senate President would mount the dock to take his plea which he eventually did as he entered a plea of “not guilty”. 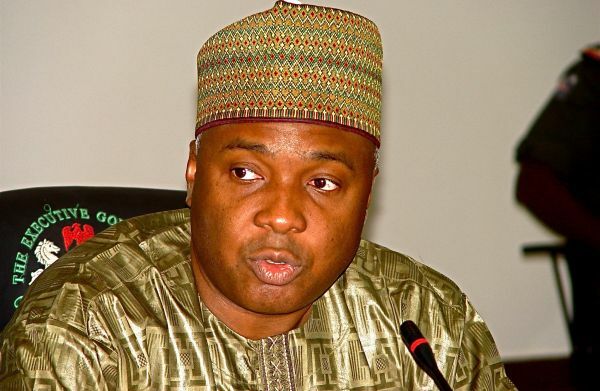 Saraki’s lawyers also argued for an adjournment on the basis that the accused needed some time to prepare his brief. Justice Danladi Umar has adjourned the case till October 21.